Fans can expect to find everything they need from VW Camper & Bus magazine. Consistently showcasing stunning examples of every type of Camper and Bus models. For people with a penchant for hitting the road in their VW Camper or Bus, this magazine subscription will see you well on your journey. 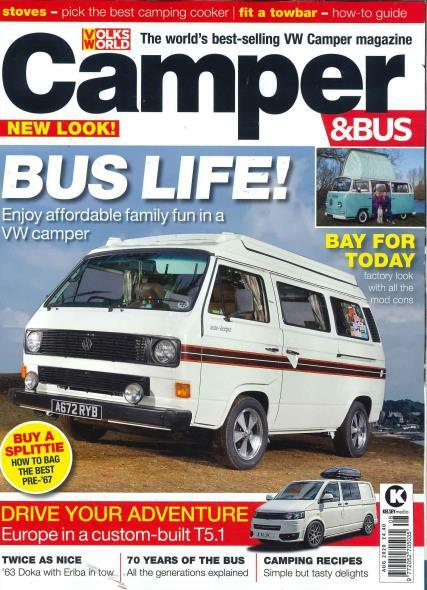 Complete with the latest market news and helpful maintenance advice, VW Camper & Bus magazine is the world’s best-selling magazine of its kind. In addition to the larger features, which also delve into various models’ history, you can expect to find indispensable information on camping kits, latest products and a handy ‘How To’ section which advises on regular maintenance procedures and necessary upgrades. Sign up for a VW Camper & Bus subscription and it will be your most trusted travel companion on the open road.